Adobe Systems has agreed to buy Switzerland-based Day Software Holding in a deal worth $240m. 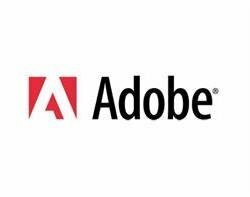 The deal is aimed at strengthening Adobe's enterprise software with Day Software's social collaboration technology and content and digital asset management software. Adobe said the acquisition would enable the company to realise its vision of the web as the hub of customer interaction. With Adobe's technologies, the Day products constitute a "complete solution for building and running global, compelling websites and multi-channel customer experiences", the company said. Day Software will become a product line within Adobe's Digital Enterprise Solutions Business Unit, and Day's chief executive Erik Hansen will join Adobe. Adobe will launch a tender offer for Day's publicly held stock shares, which has been recommended by Day's board of directors. The deal is subject to government approval, but Adobe expects to close the deal in the fourth quarter of its 2010 fiscal year.